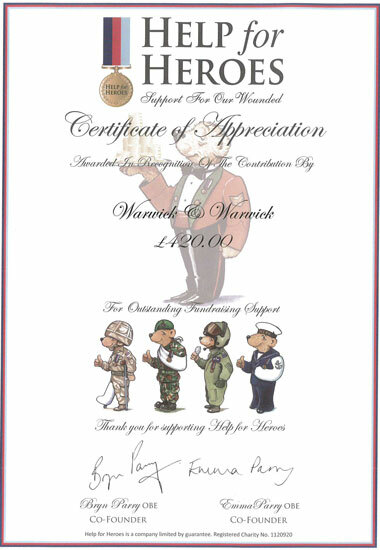 We are pleased to announce that we have made another donation to charity, this time to Help for Heroes. Lot 807 in our 15 August 2018 Coins, Medals, Militaria and Banknotes auction was a world coins collection comprising a variety of low value collections that the owners had decided to donate to charity. A total of £420 was donated to Help for Heroes, who provide lifetime support for the armed forces and their families, a very worthy cause that we are pleased to support.